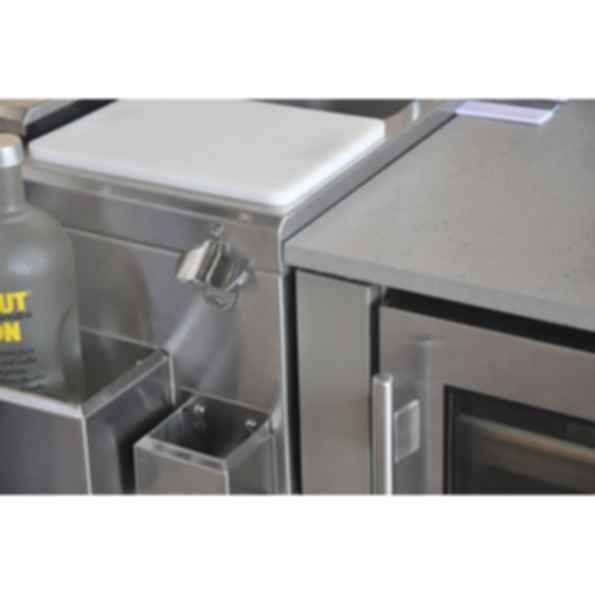 Built-in bartending centers from 14-42 inches wide by Solaire, Alfresco and Glastender feature qualities professionals or do-it-yourself bartenders need to do their job, including insulated ice compartments, bottle openers and towel racks. 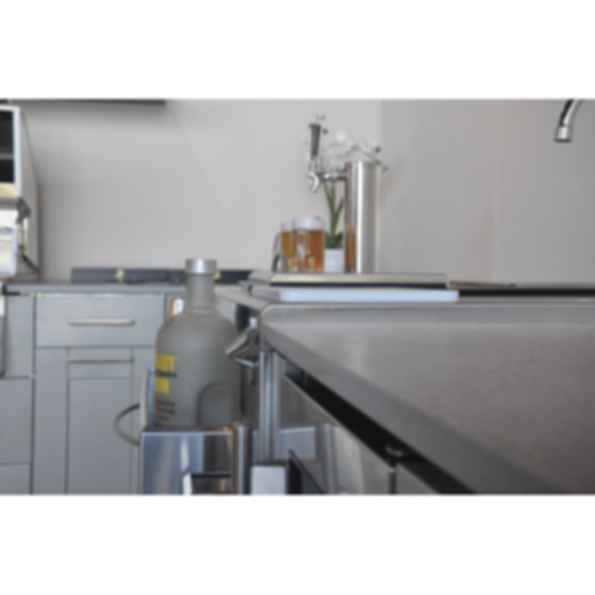 Brown Jordan Outdoor Kitchens manufactures an extensive line of modular stainless steel cabinetry in an array of exclusive, designer colors and door styles. 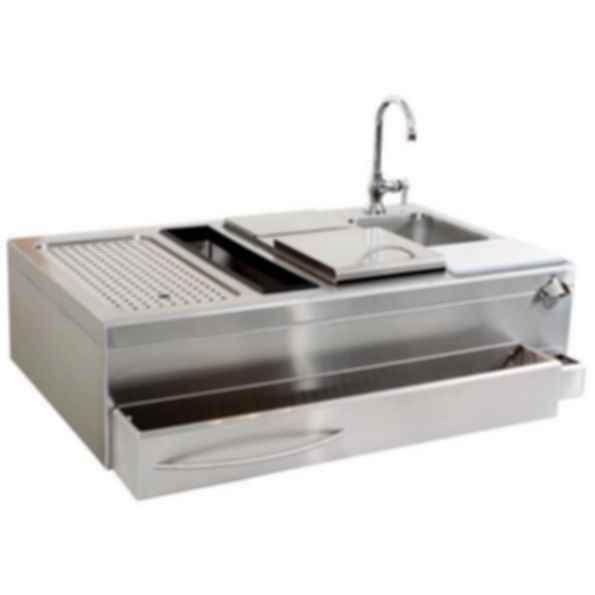 Made in the USA and designed to accommodate even the most creative layout, these cabinets fit any manufacturer's grill, and other outdoor kitchen appliances, bars and accessories. 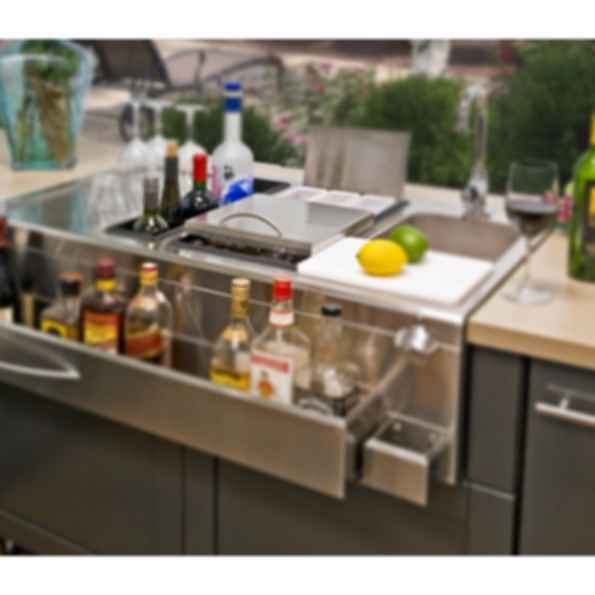 Brown Jordan Outdoor Kitchens allows you to create fully functional, signature outdoor kitchens for the backyard, rooftop or transition room. 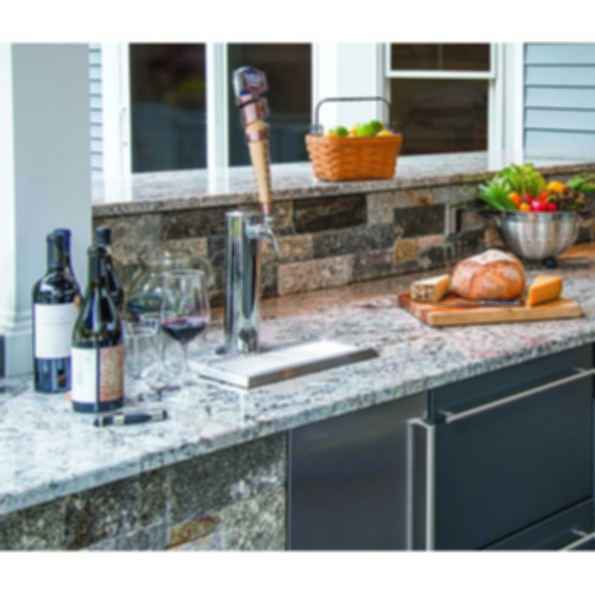 As outdoor cooking areas have transitioned from mere barbecue islands to more formal outdoor entertaining and living areas, in which the outdoor kitchen is one component, these spaces have led to the introduction of color and style in the outdoor room's decor. 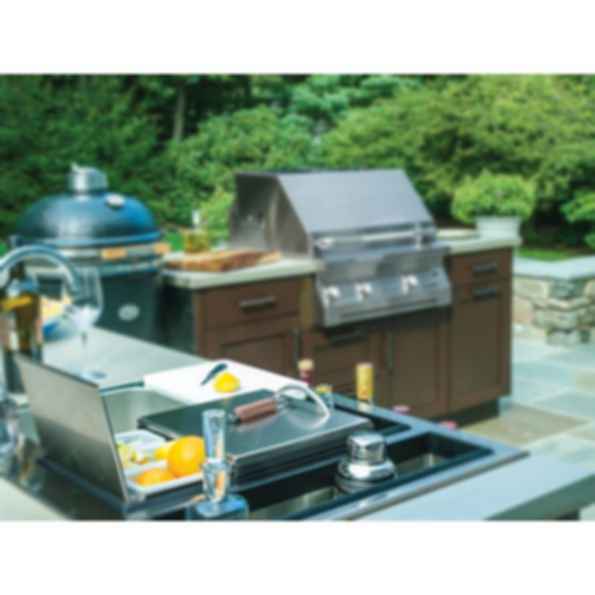 Brown Jordan Outdoor Kitchens' designer colors, realistic wood grains, metallic hues and other powder coats on stainless allows builders, architects and the design community the freedom to create unique outdoor living areas.